Before moving, twelve years ago, to a village (population 1,230) deep in the Alps, Daniel and Johanna led a dual life in Zurich, Switzerland — accountants by day and members of a small theatre troupe in the evenings and on weekends. Living downtown in a city that consistently finds its way onto lists of cities with the highest cost of living, however, did not come cheap. According to Daniel, “when Johanna became pregnant, we knew we couldn’t afford an apartment with enough space for all of us”. On an earlier hiking vacation, they had passed through a small village and had stopped to visit the garden in the local cloister. At the time, Daniel’s eye was caught by the adjacent lot overgrown with weeds. As Johanna’s pregnancy advanced, Daniel thought again of the overgrown lot and bought a bus ticket back to the village. He soon cleared the land, planted peppermint and an array of other herbs, and within two years had the land certified organic and started producing his own line of herbal tea mixes. Since then, he has operated a small one-room shop on the cloister grounds, expanded sales of tea and vegetables to a number of local fairs and markets, and started raising goats. After giving birth, Johanna got a part-time job at the town’s nursery and started organizing a theatre group at the local church. Why consider the story of Daniel and Johanna? After all, statistics show that the largest migration in human history is currently underway as people move from the countryside to urban centres. According to current models, the future is cities — bigger, denser, more populous and more externally dependent on resources and energy than ever. At a recent symposium on Sustainable Urban Development: Challenges and Issues in Developing Countries, co-hosted by the UNU Institute of Advanced Studies (UNU-IAS) and the United Nations Centre for Regional Development, it was pointed out that experts expect the number of people living in urban areas to grow from 3.4 billion to 6.3 billion by 2050, an 85% increase. Speaking at this event, Aban Marker Kabraji, Asia Regional Director of the International Union for Conservation of Nature, pointed out that “while cities cover a mere 2% of land space worldwide, they consume a whopping 75% of the resources”. The massive scale and the rapidity of this shift in human civilization have fostered broad generalizations of an inexorable movement of people from rural to urban areas. Daniel and Johanna are not alone, though. Recent reports from the Republic of Korea (ROK), for example, show that in 2011 there was a 158% increase in the number of households leaving cities to settle in rural areas. 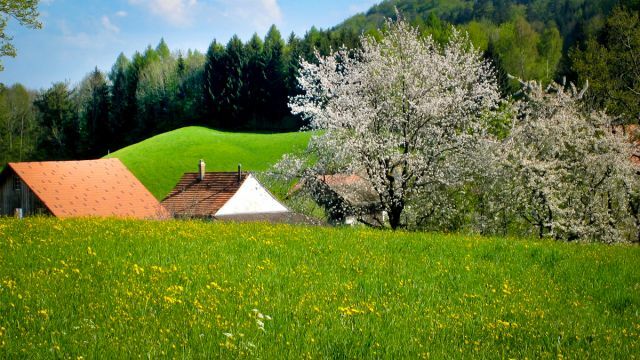 One explanation given by ROK Agriculture Minister Suh Kyu-yong is that city dwellers are increasingly packing up and moving to the countryside “to seek a quieter life”. Just as there are a number of commonly cited drivers of rural–urban migration, however, it likewise seems logical that the reasons for households moving in the other direction are more nuanced and differentiated. Considering the fundamental changes in human civilization that are forecast for the coming decades, are these urban–rural migrants the proverbial canaries in the coal mine, or just exceptions to the prevailing rule? And what role can these urban–rural migrants potentially play in supporting ecosystems and fostering resilience? Humans can play a crucial role in maintaining and even increasing the biodiversity of their surroundings. There are many places around the world in which people have interacted with their natural surroundings in a harmonious way for many generations, creating socio-ecological production landscapes (SEPLs). These dynamic mosaics of land usage and ecosystems/habitats provide sustainable livelihoods that are interlinked with local culture and community. Terraced rice fields, for example, are home to a multitude of species, but depend on regular human maintenance. A recent survey in Japan recorded a staggering 5,668 different species living in rice paddies. On average, rice farmers in Japan are 66 years old, and the rapid depopulation of the country as a whole, and rural areas in particular, means that these biodiversity-rich SEPLs face abandonment and fundamental change. A case study published by the Satoyama Initiative looked specifically at landscapes that had been abandoned around Machida City, a suburb of Tokyo. After observing a steady drop in the numbers of plant and animal species, a project was set up under local management to restore the landscapes through human intervention and make full use of traditional knowledge. In 1986 a baseline survey identified 591 different species in these areas, but by 2002, the landscapes had become home to 680 different species. Likewise, forests left unattended — particularly planted monocultures — may grow denser as they age, leaving the forest floor without sunlight. Those thinned and managed in a sustainable fashion, however, let in enough sunlight to feed lush undergrowth, which in turn fosters a wide range of different species. Such SEPLs require people to stay on the land to manage it in a harmonious manner. 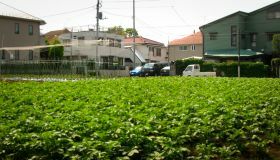 As such, there has been growing focus by urban planners, among others, on the impacts of this flow of people from rural to urban areas, while the Satoyama Initiative and others look at how to maintain healthy communities and ecosystems in the face of ageing populations and a lack of successors. Is specialization antithetical to resilience? With resilience a key focus of the upcoming IUCN World Conservation Congress, to be held in September 2012 in the ROK, it is useful to consider the implications of people moving to and from cities. Perhaps it is most informative to look first at systems that demonstrate a lack of resilience. Coral reefs, for example, are characterized by dizzying levels of biodiversity, are visually stunning, and are recognized for the potential pharmaceutical value of their genetic diversity. At the same time, many of the organisms living in these environments are tremendously specialized: individual clownfish species, for example, have co-evolved with anemones in a symbiotic relationship that leaves each highly dependent on the other for survival. In a relatively static environment, such specialization has allowed these organisms to efficiently exploit niches within the ecosystem. At the same time, it has rendered them highly susceptible to changes in their surroundings. Mass bleaching of coral has been closely associated with unusually warm ocean temperatures and rising water levels, both of which have been predicted as outcomes of global climate change. With coral literally providing the foundation of these ecosystems, and each organism within the system heavily dependent on the others, such events could cause the entire ecosystem to collapse. Collectively, these specialized organisms therefore constitute an ecosystem with a low degree of resilience in the face of global climate change. Scientists have predicted that global warming will spawn a host of extreme weather events, which will test the resilience of ecosystems across the world. Couple this with the spread of invasive species, widespread habitat loss and ecosystem degradation, and the future looks grim for highly specialized organisms like the giant panda, which feeds almost exclusively on bamboo, or the five-needle Alberta pine, which relies entirely on a single species of bird (Clark’s Nutcracker) for seed dispersal. 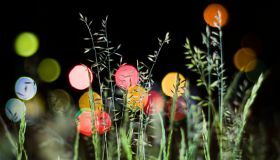 On the other hand, organisms with less-specific diets and a greater capacity to cope with fluctuations in temperature and weather patterns may flourish in the future as more specialized competitors for resources disappear. Are rural communities inherently more resilient than cities? Turning away from coral reefs for a moment and focusing again on cities, it has been noted that efficiency is one of the keys to economic growth. Efficiency, in turn, has often been achieved through increased specialization. Many urban residents have a small range of highly specialized skills, such as accounting, legal advising, pediatrics, etc. They exercise these skills in an efficient manner, and rely on other specialists to meet the fundamental needs of their daily lives. In many cases, urban residents lack even the most basic skills associated with securing food and shelter, and are successful due to (i) continued demand from society for their own area of specialty and (ii) the availability of other specialists who can provide them with food and shelter. The absence of either point would raise serious challenges for the individual. It therefore could be argued that urban systems, filled with their highly specialized and externally dependent individual parts, lack resilience in the same way that a coral reef does. Following the 2010 earthquake in Haiti, for example, more than 600,000 people left the capital Port-au-Prince in a mass exodus for the rural areas because food distribution networks had shut down and many people had lost any form of shelter. This does not have to be a dire conclusion, however. For while evolutionary processes have shaped the specialization within a coral reef, it is recent economic and social forces that have shaped urban specialization. The giant panda cannot suddenly decide to diversify its diet, but people can always add to their skill sets. Indeed it seems that the denser the community, the greater the pressure towards specialization. On one end of the scale, Robinson Crusoe alone on his island was responsible for every aspect of his daily survival. Further along the scale, a small group of pastoralists in the Sahara may have some areas of individual expertise, but each member of the group remains responsible for a broad range of different actions. At the other end of the scale are extremes like New York or Tokyo, where specialization has reached its zenith and it is possible to earn one’s livelihood solely from working as a pet therapist or wine taster. In some cases, therefore, movement away from urban centres towards rural areas may come with an increase in resilience as specialization decreases and skill sets expand — as with Daniel as he moved away from the specificity of accounting and took on all aspects of starting an organic herb farm, raising livestock and marketing his wares. If estimates hold true and the global population expands to over 9 billion people by 2050, including over 6 billion urban inhabitants, this means that over two-thirds of the world’s population could potentially be based in areas characterized by a lack of resilience. In purely economic terms, cities may represent paragons of efficiency, but the trickles of people leaving for rural areas may reflect some element of a universal human consciousness that resilience rather than efficiency may be the best survival strategy over the long term.